Recently, research in 3D computer graphics and interaction has started to move beyond the narrow domain of single object authoring and inspection, and has begun to consider complex multiscale objects and environments. This generalization of problem scope calls for more general solutions, which are more akin to information visualization techniques than traditional computer graphics approaches. We consider the general problem of the users understanding of their position and orientation within a multiscale 3D scene and propose a classification of the design space. 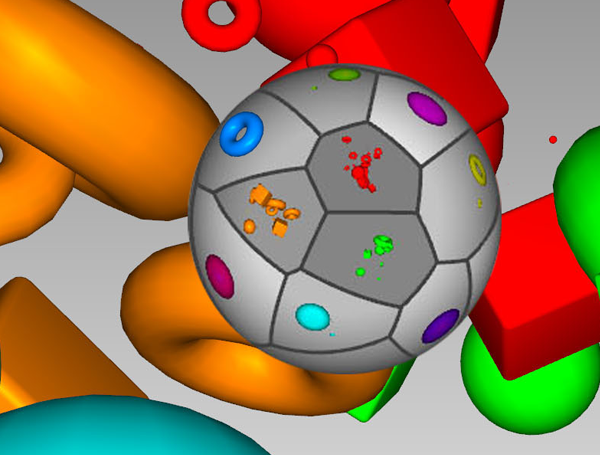 To ground this theoretical discussion, we present initial explorations into grouping techniques, visualizations, and interactions to facilitate multiscale 3D orientation.